A business proposal for designers is very important. Without it, they would not be able to get any projects and earn any income at all. A layout is just as important in writing a business proposal as it is in designing. Leaving one-third of the page for white space makes the business proposal easier to read, and gives room for the reader to put down notes. Writing a business proposal for designers doesn’t have to be all words. Feel free to use visual elements like graphs and images to help you convey your idea to the potential client. Like in any industry, graphic designers have their own set of terms that may not be easily understood by other people. Get someone to read through your proposal to see if he or she could understand the ideas and points you want to relay to the client. Just because writing a business proposal does not come naturally for designers, it doesn’t mean that it’s okay to have grammatical errors in your proposal. If you’re not sure of your grammar, have someone to read through your proposal to check it. The main goal of writing a business proposal for designers is to communicate to your client your ideas so that they would choose you for the job. Be direct and straight to the point when you explain your ideas in your business proposal. 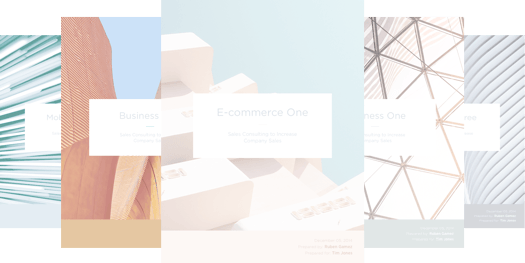 One way to make writing a business proposal easier for designers is by using ready-made design proposal templates as a guide when you write your business proposal. A design proposal template contains instructions and examples of exactly what you need to write under each section. Some even contain some pre-written text for each section, and all you’ll have to do is to make the necessary changes so that it fits the project offered by the client. Writing a business proposal for designers can be quite a daunting task. But combining the tips mentioned above and using design proposal templates, writing a business proposal will become so much easier for designers.